Here are a couple of easy immigration questions -- answerable with a simple "yes" or "no" -- we might ask any American of any political stripe: Does everyone in the world have a right to live in the U.S.? Do the American people have a right, through their elected representatives, to decide who has the right to immigrate to their country and under what conditions? I believe that most Americans, even today's open-borders people, would answer "no" to the first question and "yes" to the second. Unbeknownst to the protesters, the expression "Sí, se puede" was a saying of Cesar Chavez's. When Chavez, the founder of the United Farm Workers union, used the expression "Yes, we can," he meant something entirely different: "Yes, we can" seal the borders. He hated illegal immigration. Chavez explained, "As long as we have a poor country bordering California, it's going to be very difficult to win strikes." Why? Farmers are willing to hire low-wage immigrants here illegally. Chavez had allies in his protest against the hiring of undocumented workers and lax enforcement of immigration laws. Included in one of his protest marches were Democratic Sen. Walter Mondale and a longtime Martin Luther King Jr. aide, the Rev. Ralph Abernathy. Peaceful protest wasn't Chavez's only tool. He sent union members into the desert to assault Mexicans who were trying to sneak in to the country. They beat the Mexicans with chains and whips made of barbed wire. Undocumented immigrants who worked during strikes had their houses firebombed and their cars burned. By the way, Chavez remains a leftist hero. President Barack Obama declared his birthday a commemorative federal holiday, an official day off in several states. A number of buildings and student centers on college campuses and dozens of public schools bear the name Cesar Chavez. Democrats have long taken stances against both legal and illegal immigration. In 1975, California Gov. Jerry Brown opposed Vietnamese immigration, saying that the state had enough poor people. He added, "There is something a little strange about saying 'Let's bring in 500,000 more people' when we can't take care of the 1 million (Californians) out of work." 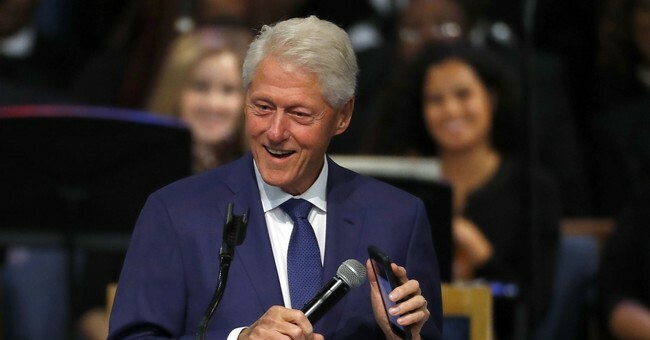 In his 1995 State of the Union address, President Bill Clinton said: "All Americans ... are rightly disturbed by the large numbers of illegal aliens entering our country. The jobs they hold might otherwise be held by citizens or legal immigrants. The public service they use impose burdens on our taxpayers." On a 1994 edition of CBS' "Face the Nation," Sen. Dianne Feinstein, D-Calif., declared: "Border control is a federal responsibility. We simply don't enforce our borders adequately. In my state, you have about 2,000 people a day, illegally, who cross the border. Now, this adds up to about 2 million people who compete for housing, who compete for classroom space." She added: "In 1988, there were about 3,000 people on Medicaid. There're well over 300,000 (people on Medicaid) today who are illegal aliens. That presents obvious problems." Tucker Carlson has a four-part explanation for the Democratic Party's changing position on illegal immigration. He says, "One: According to a recent study from Yale, there are at least 22 million illegal immigrants living in the United States. Two: Democrats plan to give all of them citizenship. Read the Democrats' 2016 party platform. Three: Studies show the overwhelming majority of first-time immigrant voters vote Democrat. Four: The biggest landslide in American presidential history was only 17 million votes. Do the math. The payoff for Democrats: permanent electoral majority for the foreseeable future. In a word: power."